It’s another day at the TGN office. Another day where I get to my desk and a bag of POOP is on it. You may say, “But Jared, I never have those type of days. That’s not normal.” Not to worry, it wasn’t a real bag of poop this time. Well, the bag was real, but the POOP was not, well, poop. 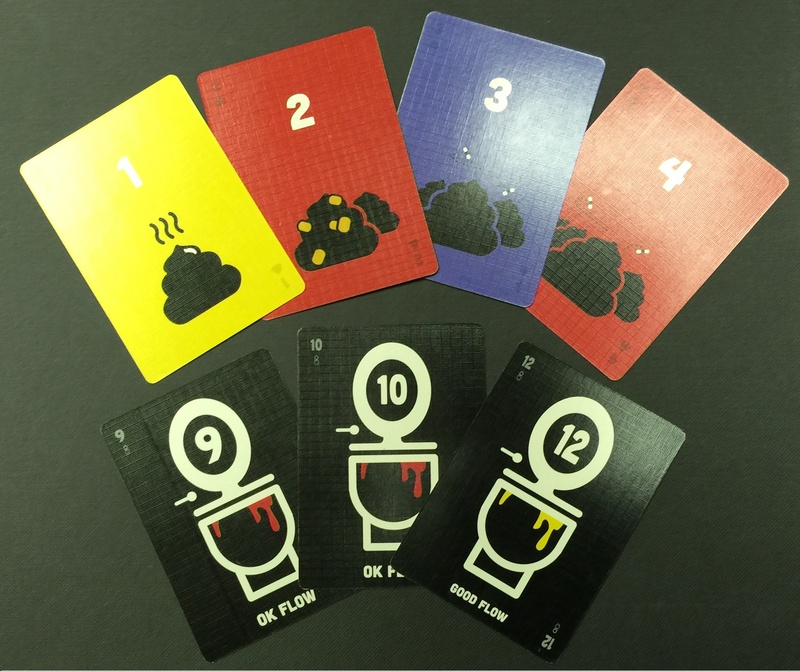 It was POOP: The Card Game from Feels Right Design. 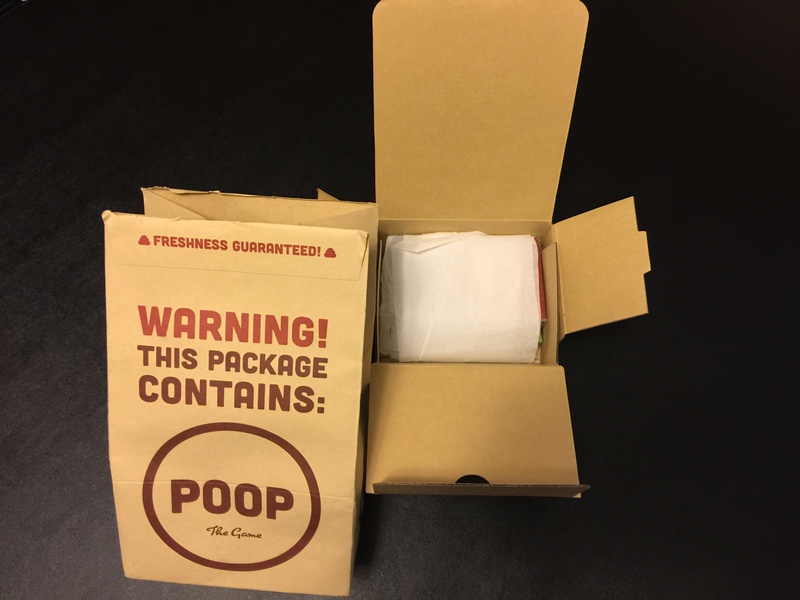 Their current Kickstarter is offering to send you or your friends/enemies POOP In A Bag! The original game had a successful Kickstarter back in February of 2014, but the new Kickstarter campaign introduces the bag delivery concept and a couple new versions of the game. What is the normal game you ask? Let’s take a look. 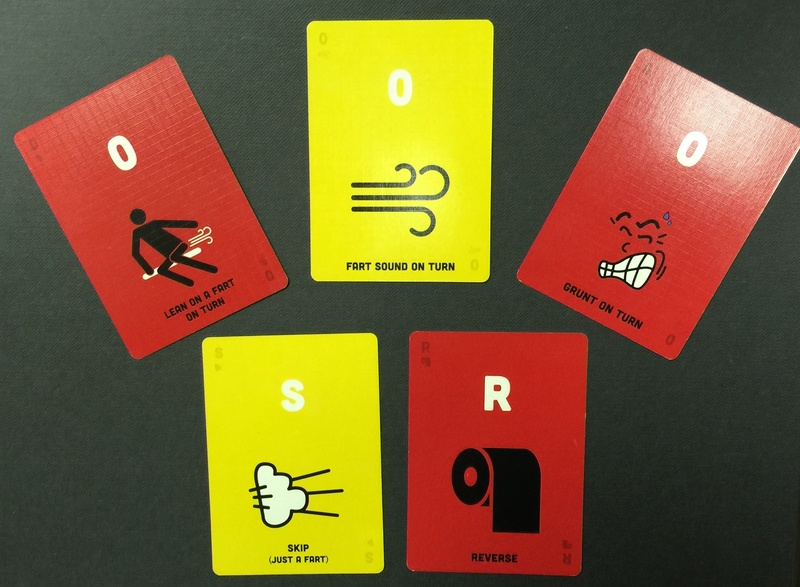 POOP: The Game is an Uno-like card game that’s laid back and party focused. Two to five players start with a hand of five cards, each with a number at the top (unless it is a Reverse or Skip card). Then, a Toilet card is revealed with a number at the top. Play proceeds around the table as players play POOP cards next to the toilet with the goal of dropping your deuce (or whatever number it may be) without being the one to overfill the ol’ porcelain god. If you get a little crazy with your dumps, you’ll have to pick up all of the cards in play, which is bad because the goal is to be the first player to get all of the POOP cards out of their hand! And, honestly, we should all strive to not have hands full of poop. Of course, a toilet is no good to you if you can’t flush it, and that’s when the color associated with the cards comes in to play. If three of the same color cards are played in a row, the toilet is flushed, everyone except for the flushing POOPer draws a card, a new toilet is revealed, and the flusher gets to start the new round. To add a little more strategy to the game, there are Reverse cards, which reverse the direction of the round, and Skip cards, which skip the next player in line. (Sorry, pal, you’re going to have to hold it.) Then there are Wild cards. These have the number “0” and are great because you can play them with very little blowback. However, each 0 card has an action associated with it that you must perform on your turn until it is flushed or picked up. These actions include “Fart Sound On Turn,” “Lean On A Fart On Turn” (meaning you lean over like you’re farting but don’t actually lean on a fart like some cowboy resting on a hitching post), “Splash Sound On Turn,” and more bathroom related fun things. If you don’t do your action (or actions if you’ve played more), someone can call you out on it and you have to draw a card into your hand. So there you have it. A very simple game. We played a few rounds at the office and had a good time with it. We had an even better time asking people to play POOP with us. Reactions range from strange looks, to excited looks (watch out for those people), to people going into more detail than we wanted about their bathroom habits. Either way, POOP: The Game proved to be fun, lighthearted, and easy to pick-up (ew). 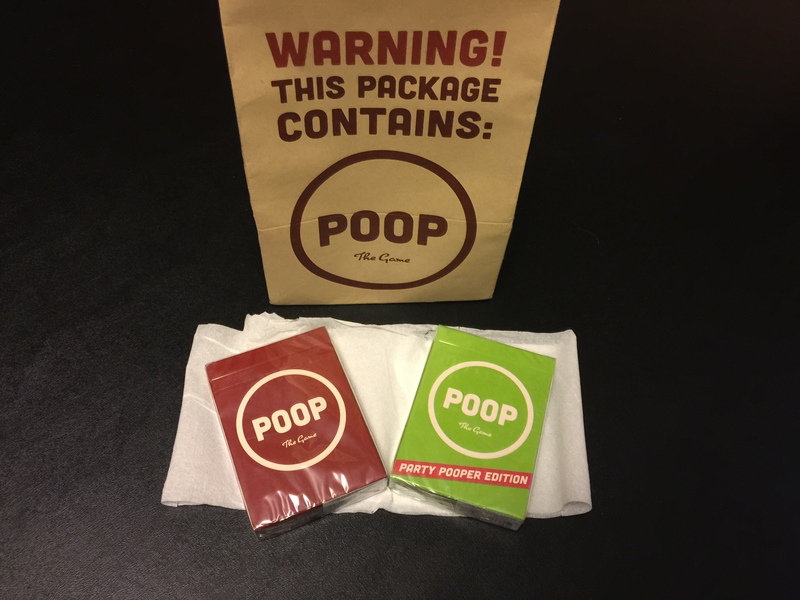 POOP: The Game is available now along with the Party Pooper Edition that ads new Wild cards and combines with the main game to allow up to 10 players.. 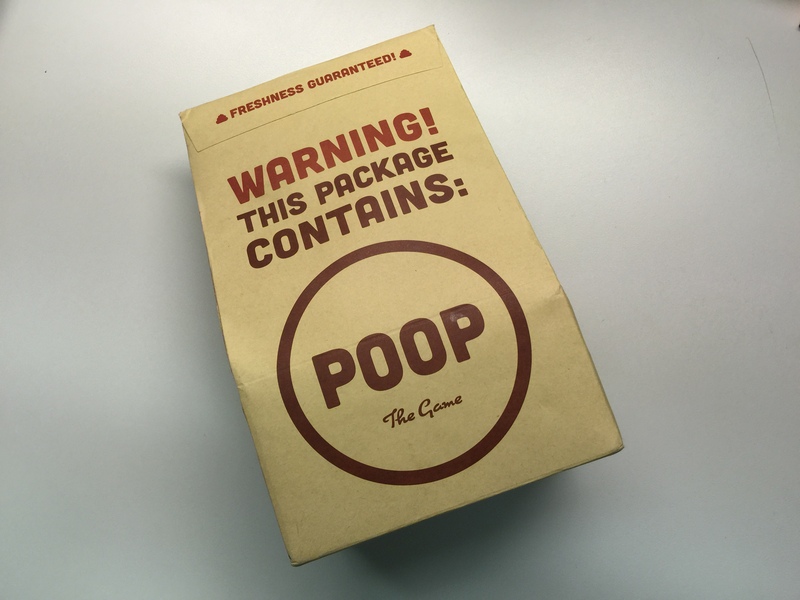 But the folks at Feels Right Design are running a new Kickstarter for the aforementioned Poop In A Bag and a couple of new POOP decks, including a Spanish edition called CACA: El Juego, and the Public Restroom Edition that introduces three toilets at once into the mix and also encourages more interaction between players. The campaign has just under two weeks left.